When Elton John played behind his then-current album The One in 1992, he should have titled it the “What the Hell’s That Thing On Elton’s Head?” tour. The Elton we knew and loved for the prior 20 years became increasingly follicly challenged over time, and what little hair he possessed turned gray. All of a sudden, Elton appeared in 1992 with big brown moptop. I guess I’ve gotten used to it over the last decade, but I still think it looks kind of weird. Anyway, the concert portrayed on Elton John: Live In Barcelona comes during the singer’s bushy coming out, as it were, and finds him in Spain not long before the start of the 1992 Olympics there. The One was Elton’s first studio album in three years, but you won’t find too much from it during this show. Of the 21 songs, only three appear on The One. We get the title track along with “Simple Life” and “The Last Song”. Otherwise, the tunes span Elton’s career. 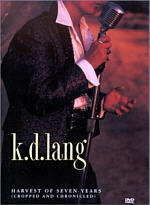 “Your Song” offers the oldest track, as it goes back to 1970’s Elton John, and that year also provides “Burn Down the Mission” from Tumbleweed Connection. 1971 gives us “Tiny Dancer” from Madman Across the Water, while 1972’s Honky Chateau gives us “Mona Lisas and Mad Hatters”. Elton’s first album of 1973, Don’t Shoot Me I’m Only the Piano Player, features “Daniel”. As we move to the Eighties, we find two songs from 1983’s comeback hit, Too Low For Zero: “I Guess That’s Why They Call It the Blues” and “I’m Still Standing”. 1984’s Breaking Hearts includes “Sad Songs (Say So Much)”, though that song will always be “Sasson Says So Much” for those of us old enough to remember the cheesy jeans commercials Elton did at the time. We just to 1988’s Reg Strikes Back to get “Mona Lisas and Mad Hatters Part 2”, and 1989’s Sleeping With the Past provides two more tracks: “Blue Avenue” and “Sacrifice”. Finally, Elton covers Queen’s “The Show Must Go On”, which he also played at the Freddie Mercury Tribute Concert that took place about two months prior to the Barcelona show. Though Elton performed only three songs from The One, I felt surprised with the moderate emphasis he placed on then-recent material. Including those three numbers, he did six tunes from the past five years and nine from the prior decade. That doesn’t sound like much, I suppose, but given the strength of Elton’s Seventies catalog, I expected he’d almost totally ignore the Eighties for a set of this era. With a few exceptions, it wasn’t a pretty experience for him, and he certainly didn’t produce anywhere near as many solid numbers as he did in the Seventies. I admire Elton’s choice to go with a relatively high number of songs from the then-recent past, as most artists of his stature wouldn’t do so. For example, look at the 2002 tours conducted by the Rolling Stones and Paul McCartney. For the most part, neither acknowledged the existence of the Nineties. The Stones often played 1994’s “You Got Me Rocking”, but other than the new track “Don’t Stop”, you’d be hard-pressed to find anything in their set from anytime after 1981; they did a few tracks from the Eighties and Nineties, but only a handful of times during the 36 shows in the tour’s first leg. As for Macca, he did a few numbers from 2001’s Driving Rain, but he offered nothing at all from the Nineties and only two tracks from the Eighties (“Here Today” and “Coming Up”). One shouldn’t necessarily regard this as a criticism of the Stones or McCartney. Indeed, both put on some of their best-ever performances in 2002, and that seems more important than nit picking about the setlist. But still, I respect Elton’s choice to remind fans that his recording career didn’t end in 1976. Too bad so much of the material since that date doesn’t seem very good. Of the post Blue Moves tracks, the two Too Low For Zero numbers probably work best. They remain bouncy and catchy, and when I listen to them, I can remember why they helped rescue Elton from his career drought. “Sad Songs” has some moments too, though you’ll be hard-pressed to find them in this excessively elongated rendition. Elton adds a very long intro that showcases the talents of his back-up singers, and the whole thing feels showy and pointless; their vocal histrionics would fit better on an episode of It’s Showtime At the Apollo. The three numbers from The One come across as moderately likable but fairly forgettable. Actually, I was surprised to realize that I recognized all three. I never owned The One and I didn’t recognize the titles of any of the trio, but I clicked into them immediately, so I guess they may not be as forgettable as I thought. “Blue Avenue” and “Sacrifice” really do appear bland and unmemorable, while “Mona Lisas and Mad Hatters Part 2” totally trashes the original. The 1988 “sequel” goes on way too long and becomes an interminable and pointless instrumental extravaganza. Elton tends toward over-done, bombastic production of many of the songs, and that generally harms them. For example, at its heart, “Saturday Night’s Alright For Fighting” offers a tight little rocker, and the version on Barcelona retains enough kick to make it work. However, Elton should reduce the song to its core. Lose the smooth backup singers and synths and make it crank, dude! Bring out the bar band in the track and forget the polish. Many of the arrangements seem too lush and busy, though this works at least once in the program: during “Funeral For a Friend/Love Lies Bleeding”. That number always favored excess anyway, and it provides possibly the only example in which the musical bombast and lush back-up singing fits the song. It’s a solid version that cranks along nicely. Despite these gripes, Barcelona generally provides a good sample of Elton’s career, and the music mostly works well. The band seems more anonymous than I’d like; only guitarist Davey Johnstone remains from John’s longtime band, and the other players sound and look generic. They support the music acceptably well but do no more than that. At least they don’t actively detract from the experience, whereas the back-up singers become a frequent annoyance. Musically, they appear too smooth and silky for the songs, but they mostly annoy me in a visual sense. Perhaps to compensate for the absence of a front man who can move around the stage, the singers all pose and posture in absurd ways. They make all sorts of ridiculously dramatic gestures to “illustrate” the songs; they reach their nadir during “Sorry Seems to Be the Hardest Word”, but they irritate on many other occasions as well. The camera frequently focuses on them, which makes their goofy maneuvers even more distracting. As a visual performer, Elton is much more subdued than during his wild Seventies heyday, but he still manages enough spark to hold our attention. Vocally, he sounds decent but a bit rough. As I recall, he experienced some throat difficulties in the Eighties, and along with the hard living he experienced over the years, that can account for the loss of range and moderate gruffness he shows here. I’ve not heard Elton live since 1993, so I don’t know if his voice has rebounded since then. I do wonder when he developed the lisp he often displays in Barcelona. It doesn’t always seem pronounced, but at times, it comes across very strongly. Based on this version, he needs to rename the song “I’m Thtill Thtanding”. Many the lisp was always there, but I’ve heard a lot of Elton over the years, and I don’t recall noticing it prior to this era. Visually, Barcelona provides a reasonably low-key affair that mostly fits the presentation. Director Andy Morahan avoids the tendency to use lots of quick cutting and audience shots to “spice up” the show, but he does leave Elton too frequently. Elton remains the focus most of the time, but the drummer and those irritating back-up singers appear more often than I’d like. Still, the production seems to convey the concert acceptably well, and it doesn’t resort to obnoxious gimmicks to do its job. One won’t find prime Elton John in Barcelona, but one could also do much worse. The show mixes classic hits with newer tracks and generally balances the two sides nicely. The performance lacks great flair and spark, but it seems competent and largely engaging. 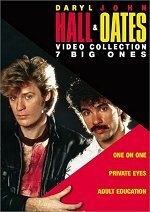 This DVD presents the concert reasonably well and provides a nice little package. 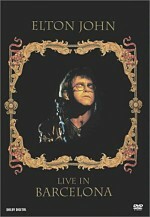 Elton John: Live in Barcelona appears in an aspect ratio of 1.33:1 on this single-sided, double-layered DVD; due to those dimensions, the image has not been enhanced for 16X9 televisions. Though quite watchable across the board, the picture demonstrated some significant flaws that greatly reduced my grade. The main culprit occurred due to excessive use of edge enhancement. Actually, the edge enhancement caused virtually all of the image’s problems. Everything I saw took on a bizarre glow, and this became a serious distraction. It also rendered substantial parts of the program as too soft. Close-ups still looked fine, but medium shots lost resolution, and wides turned seriously fuzzy and blurry. Jagged edges and moiré effects created no issues, but that nasty edge enhancement rendered the image fairly messy at times. Other than a few minor video artifacts, the picture seemed free of source flaws. The picture’s palette mostly favored the typical spectrum of colored lighting. Other than Elton’s yellow jacket and blue pants, little on stage demonstrated much color, so the lights did all the work in that regard. The tones tended to appear somewhat heavy for the most part, but the lights didn’t become too dense, and they generally presented reasonably solid imagery. Black levels seemed acceptably deep and dark, while shadow detail looked fine, as the low-light situations were adequately visible. Without the oppressive edge enhancement, Barcelona probably would have presented a strong picture, but as it stands, the image looked somewhat below average. The Dolby Digital 5.0 soundtrack of Barcelona improved upon the visuals, but it also showed some concerns. Most of these related to the soundfield, which seemed too dense. Most concert presentations keep the audio focused on the forward channels, and Barcelona largely followed that trend. However, the audio demonstrated rather heavy reinforcement from the rear that made the imaging less distinct that I’d like. Some decent instrumental separation occurred, and Elton’s vocals remained nicely front and center. However, the various instruments lacked great spatial delineation and somewhat blended together. This trend didn’t become a huge concern, but the mix sounded thicker and less defined than I’d expect. Audio quality appeared good but also showed some moderate muddiness. Midrange dominated the track, as it presented only passable clarity to the highs. 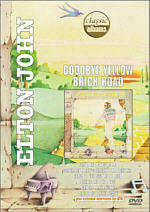 Elton’s vocals came across as natural and detailed, but cymbals lacked much sizzle and drums failed to pop. Bass response presented adequate presence for the most part, but the low-end came appeared somewhat mushy and loose. While consistently listenable and better than decent, the audio of Barcelona failed to reach levels much higher than average. Unlike most concert DVDs, Barcelona includes some extras. Actually, if only features one supplement, but at least it’s a fairly substantial one. We find a 51-minute documentary that covers the tour. It starts with the release and publicity for The One and then goes through the design and rehearsal for Elton’s 1992-93 tour. We see clips from shows and music videos as well as images from the preparation for the shows and a music video shoot. We also hear comments from Elton plus lyricist Bernie Taupin, musical director/guitarist Davey Johnstone, lighting coordinator Steve Cohen, tour manager Marc Robbins, and designer Gianni Versace. All the band members pop up briefly to introduce themselves and relate how happy they are to play with Elton; otherwise they add no information. Too much of the documentary feels like an infomercial, as everyone involved tells us how special The One is and the tour will be. Hyperbole abounds in this fluffy program. Although almost no useful information appears via the interviews, the behind the scenes material makes the documentary worth a look. We get a decent view of the proceedings, and some of the shots – like those from the set of the video for “The One” – offer cool images. We also get a full performance of “Don’t Let the Sun Go Down On Me” from the first show of the tour. Too much of the documentary seems insubstantial for it to provide a very useful program, but it still makes for a decent extra. One odd note about the documentary: while it indeed offers subtitles for all those languages, the text occasionally displays information that we don’t actually hear. During the program, the subtitles run notes that a narrator should say, but no auditory narration appears. This material crops up only during the show’s first few minutes, and frankly, you won’t miss much if you don’t read it; the narrator simply tells us how great Elton is. Still, this seems like a weird defect – what happened to the oral narration? As a concert, Live In Barcelona doesn’t feature Elton John at his best, but it seems like a serviceable performance. The program represents the original concert fairly well, and it feels like a good but unexceptional piece of work from Elton. The DVD suffers from moderately weak picture quality, however, and the audio sounds decent but lacks much spark or pizzazz. As for extras, we find a fluffy but sporadically compelling documentary. Overall, Barcelona presents an acceptable program but not one I’d recommend for those without a pretty substantial interest in Elton John, as it doesn’t show the performer’s strengths as well as I’d like.